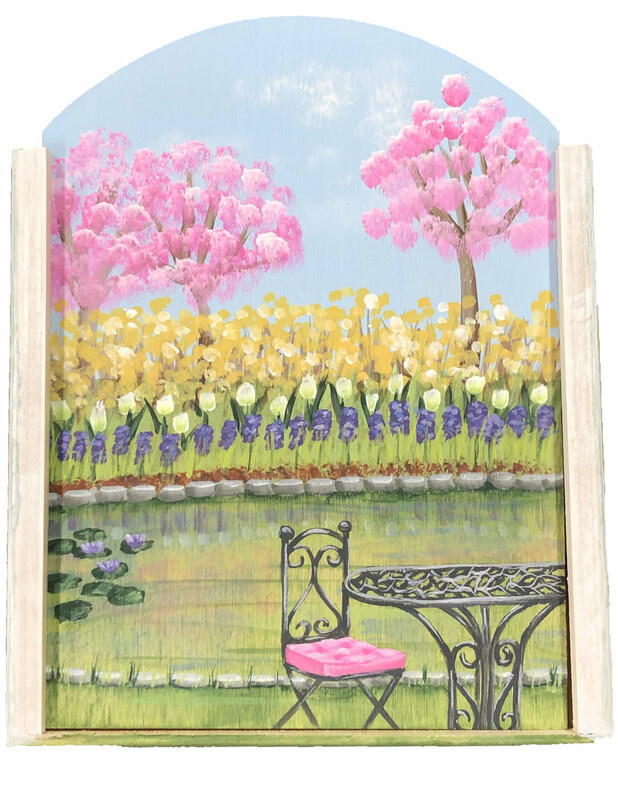 This Spring garden design is painted on a panel insert for a tissue box. Spring - we all know what that means. Add a little color to day while you sneeze your way through another season. Techniques included in this project beside the basics (base coating, linework, stippling) are reflections, depth and cushion tuffing.